Do you need help managing your time as a work-at-home mom? Are you a WAHM struggling with time management? We wear so many hats a day. Juggling between these roles while staying sane, is our superpower. Sometimes we lose it. But hey, who said it is easy? But we know it’s worthy. Being a mom is tough. Being a work-at-home mom is tougher. Our success as a work-at-home mom depends on the planning and execution of work-life balance in a clever way. 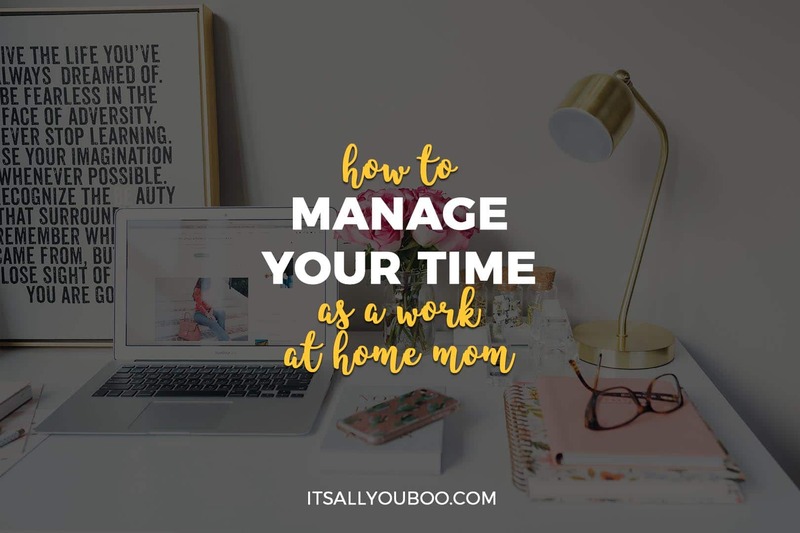 Let me walk you through some tips on managing your time when you are a busy mom working from home. As a work-at-home mom, you have a lot to do. What you need to know is that you can’t do it all and you can’t be everywhere. Setting your priorities help in deciding what matters to you the most and ditching the rest. For example, if you are reading this, you want to know how to manage your business as a mother to young kids. Then your family and your home business are two priorities. Other priorities could be your health, fitness, leisure etc. You have to decide which tasks you need to do every day. You can say no to activities that consume your time from important things. Like time spent on social media, watching TV, idle gossip or other activities that don’t add value to your priorities. And allocate that time to something that is a priority. Setting priorities are important because it helps you identify the tasks that steal your time. You will be amazed by how much time you waste here and there by doing trivial activities. How to set priorities as a busy work-at-home mom? The Eisenhower matrix is a great tool to help you decide your priorities and manage your time as a work-at-home mom. The matrix has 4 quadrants. You can read this article to know more about setting priorities using the Eisenhower Matrix as a work-from-home mom. If you want to be an efficient work-at-home mom, you must have a schedule. When creating a schedule, consider all your needs and have time blocked for each activity. It ensures you have enough time for work, family, and household chores. When you work at home, you are your boss. No one will discipline you if you don’t pitch for that freelance job or write the weekly article for your blog. You are unsupervised and on your own. But when you have a schedule, you have allotted time for each task. It makes you productive and gets things done like a boss. And you are able to give attention to each area of your life it deserves. A work-at-home mom has a lot to accomplish. At the end of the day, you want to have a clean home, well-fed kids, and a thriving business. It is a lot of work and you might never get time for yourself which is very important. You could ask people around you to help. Ask your spouse. You can work on your business when he gets off work to take care of kids or housework. It is a win-win. That way, they get good quality time to connect with each other and you get to do your work. If you have any family members near your place, you could also use their help for a few hours a day. Or else you can hire a babysitter or a housekeeper to lighten your workload. When you have babies at home, you know that they need your attention almost 24 hours a day. Hence, it is difficult to squeeze in some time for your work. Most mothers make use of nap time to do some productive work. If they sleep at least for two hours a day, you can accomplish enough for the day. You can also try getting up early in the morning before they wake up to make use of some undisturbed time. If you have a baby and a school going child, you might not get the early morning time since you have to get the older kid ready for school. In that case, use the baby’s nap time or the time when they are awake and quiet. And if you have school going kids, it is easier. You can work during school hours. You might think you need a lot of time to do the work. But you can make use of 10 or 20 minutes here and there to do tasks that don’t require much attention. Pomodoro is a great time management technique you can use. It is especially useful for people who tend to get distracted easily (like me). When I sit down to write articles, I suddenly remember all the stuff I need to do (all the silly ones). And things I wanted to look up on the internet. Since I am online, I lose so much of my time that way. And at the end of the session, I am disappointed because I didn’t get much done and my time has run out. Enter the Pomodoro technique. It’s easily one of the top productivity tips. This simple technique has been a lifesaver for me (or time saver). You set a timer for 25 minutes, work on the important tasks, and take a 5-minute break. Repeat this for 4 sessions. During the 25 minute period, you are to focus on the task in front of you, and nothing else (itching to check your new notification? Stop right there!). It is better if you can put your phone in silent mode. As busy moms, I am sure there is a lot going through our minds, all the time. Pomodoro technique makes you put everything that distracts you aside and help you focus on the task at hand. Note: 25 minutes don’t work great for me, because it takes some time for me to get in the zone. And when I do, it’s difficult for me to stop at 25 minutes and interrupts my work. So I set a timer for 40 minutes or so. Experiment with time and stick to what works for you. Since you work from home, it can be tempting to be “always on”. You are either on your laptop typing or on mobile checking emails. Since there is a lot to be done at work and home, it can lead to not having enough time to spend with kids or even your spouse. One of the perks of working from home is you are always physically present with your kids. So you get a lot of quantity time. You also need to set aside some quality time with them daily. You can use this time to read to them, play with them or do their favorite activities. It will help them to get the attention they deserve and feel more secure. Even while working I always stop to answer their questions because I want them to know I am always there when they need me. And we don’t want to ruin our relationships because we were busy focusing on our career. So make sure you always have time scheduled for your family. As moms, we take care of our family endlessly and we often struggle to find time for ourselves in the process. Why is self-care important? And how is it even connected to time management? 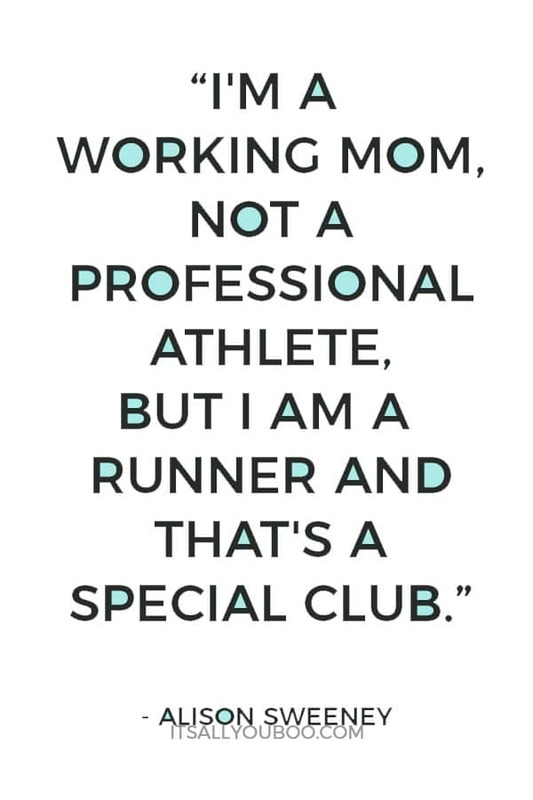 We all want to be good moms, even if not “great moms”. I always find myself snapping at my kids if I don’t get some “me time“. Especially more, as an introvert. But on the days I get to do my relaxing activities I am calmer and more patient towards them even if they don’t “behave”. It also increases your productivity. You are more happy and energetic. It reduces stress and increases your focus. Hence you get more done in less time. Here are 12 affordable self-care ideas. It is a known fact that multitasking is bad for your productivity. Research shows that it takes an average of 15 minutes for our brain to regain focus once we get distracted. So when you jump from one task to another unrelated task, your productivity decreases and affects the quality of your work. You can try task batching to save time. Task batching is simply grouping together similar tasks and do them in one go. Here are some tasks that you can batch together. 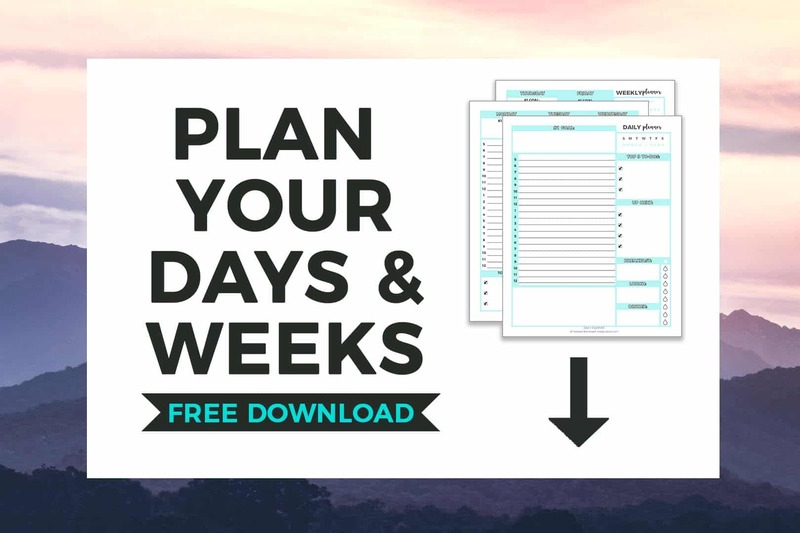 Set aside specific time for batching similar tasks in a week. It will do wonders for your productivity. Being a work-at-home mom means, you are always accessible to everyone. You might not have the luxury of a cubicle like in an office. But you can still create a workspace at home. It can be any room or a quiet peaceful corner in your home. When you go there, let everyone know that you are gonna work and need some uninterrupted time. I know it’s easier said than done when you have small kids. But still, you can encourage them to engage in independent play time. They can sit near you playing quietly or in their room. This article here will help you to know more about how to encourage independent play in toddlers. Also, remember to put your phone away when you enter this zone. I always note down ideas as they strike me. I use the Evernote app for this. You might be in the weirdest place when an amazing idea strikes you. Don’t let it go. You might not remember it later. Note it down in your notebook app. I might even write a few paragraphs of a blog post in a doctor’s waiting room if an important idea strikes me. It saves time because I don’t have to be in front of a laptop to do my work. Later, I copy the text from the Evernote app on to my desktop. Simple, isn’t it? It is simple to have the work-life balance you want if you put in some effort to plan your days. If you have more tips that will help all the WAHMs here, please comment below. What’s your time management tip for WAHMS? 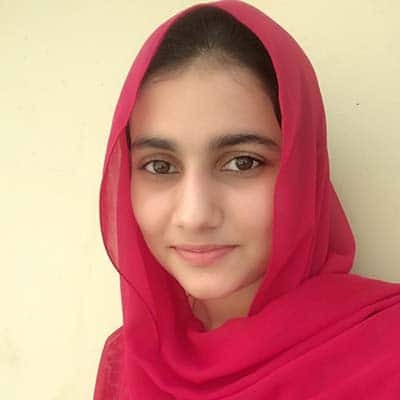 Waheeda is a blogger who is passionate about self-development and productivity. When she is not learning new things, you can find her writing at habitsbuzz.com. This is a fantastic post! As a work at home who has been a professional blogger for 10 years it was a real learning curve for me! Setting work hours was the major turning point. WOW! 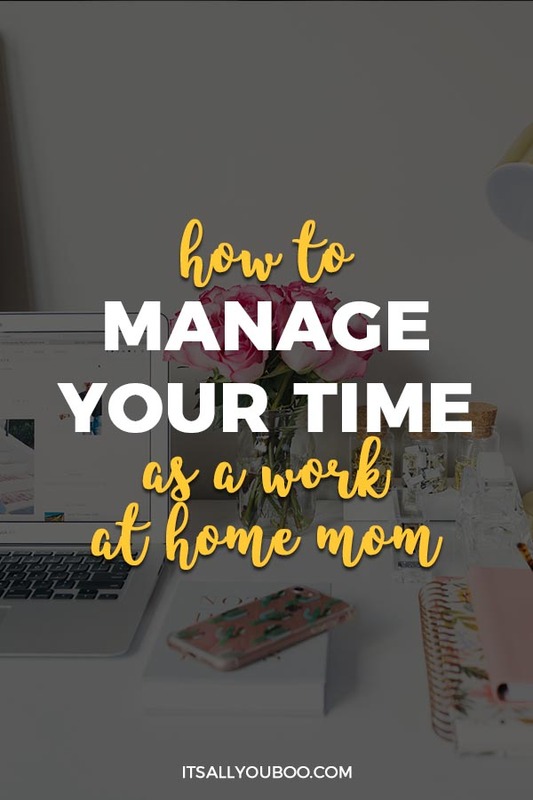 If only I had read your time management tips for work at home moms all those years ago! Thanks Melissa! Yes, setting work hours has been a turning point for me too. I also give myself deadline for each task. It has doubled my productivity! Yess. 100% agreed here with everything stated. Especially with setting a schedule and figuring out what’s urgent/priority and what can wait. One of the biggest things for me is being able to outsource and just simply get help. Which I know can be hard because a lot of times moms can’t afford to get help and we mom’s tend to want to do things on our own but yet we are supermom and at some point we will break. Yes. Outsourcing helps you focus on your business and kids, and saves you a lot of time. It is worth the money. I work from home. One of the things I struggle with is being present with my kids. I’m working on getting better at that. These are all great tips! I get you! One of the reasons we want to work from home is our kids. But, it is easier said than done. As bloggers, we have a lot to do. And it is easy to get lost in the work. I try to schedule time with my kids daily, and always try to be present when they want to tell me something. This is such a great and helpful list. Although I am not a work from home mom, I am currently working as a personal assistant for one. Contrary to what some people may believe, it is not an easy job to have. I see first hand how difficult it can be, but she utilizes most of the tips you’ve listed above. Makes things a lot less stressful. That’s right Gemille! A laptop lifestyle can seem like a dream come true for many. Sure, it offers good flexibility, but it is also a lot of work. 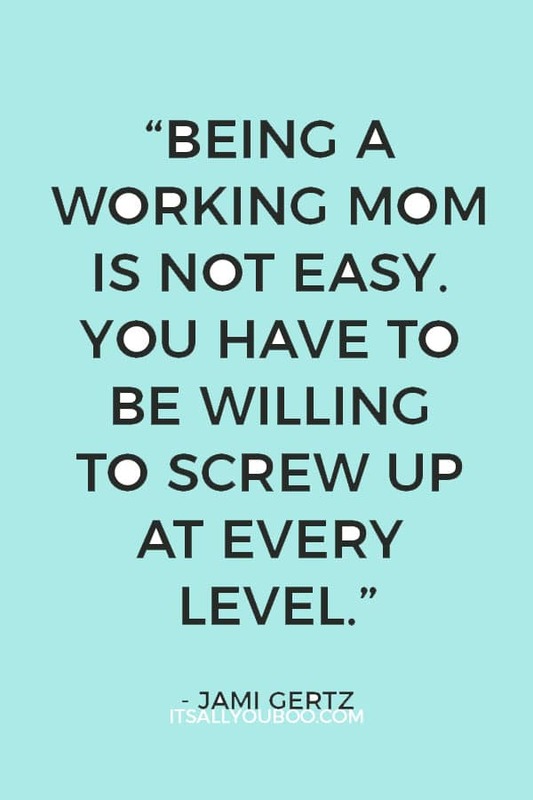 I’ve been working from home for the last decade- Through four pregnancies- and completely agree. It’s tricky balance to be working in your home space and when there are children there, it can be even more tricky. I think there are difficulties with any situation but find the benefits outweigh the difficulties for our family when we have one of us working from home. True! If your kids are in school, it is easier to get some focused work done. And it is tricky to work when they are home, as they need our attention constantly. But, it gets easier as they get older. I’m not a mom or stay at home, but these were some super helpful tips for someone who works full time and has other pots in the fire, as well! I am going to try some of these! I am glad you find the tips helpful! Thanks. I love your suggestions. I’ve never heard of the Pomodoro Technique. It sounds like an awesome way to stay focused. I do agree that when trying to be in a creative mode, you might need more time. The Pomodoro Technique is a pretty great way to approach managing your time. Let us know how it goes! Since my mom became a mother of 3, she has been too busy working and lacked time for us. I am going to pass this post to her. Thanks! Pomodoro is a great time saver for me! I can get easily distracted with all the tasks circling in my head. When it started affecting my writing speed, I began using this technique. It has done wonders in increasing my focus. I love the tip, “make use of small chunks of time.” This is one of my most favorite ways of getting things done. I use small chunks of time to power work. I can kill my “to do list” by using 10 minutes here, 15 minutes there… Great tips! I get you. It’s my favourite method too, Amanda. This is really helpful! And I agree that using nap or school time is the best way to get things done. I know. The best time to work without distraction. These are great tips! I struggle with having help and using school time to work (I’m a single mom who homeschools — my kids are with me 24/7 and I don’t have any family nearby) and having a schedule has helped a lot. The biggest struggle with trying to do it all alone is making sure work time doesn’t eat all of my day so I’m available to my kids and have some quiet time for myself. True. When working from home, it is sometimes difficult to separate work from other things. Because you are always connected and can work anytime. Having a schedule has really helped me also, to solve this problem. I personally think that #5 is the key to any successful, work from home scenario. You have to flexible and taking projects in small chunks helps to manage larger scopes, in to easy to breakdown attainable projects. I learned it from my experience. Earlier, I would wait for undisturbed long hours to get things done. 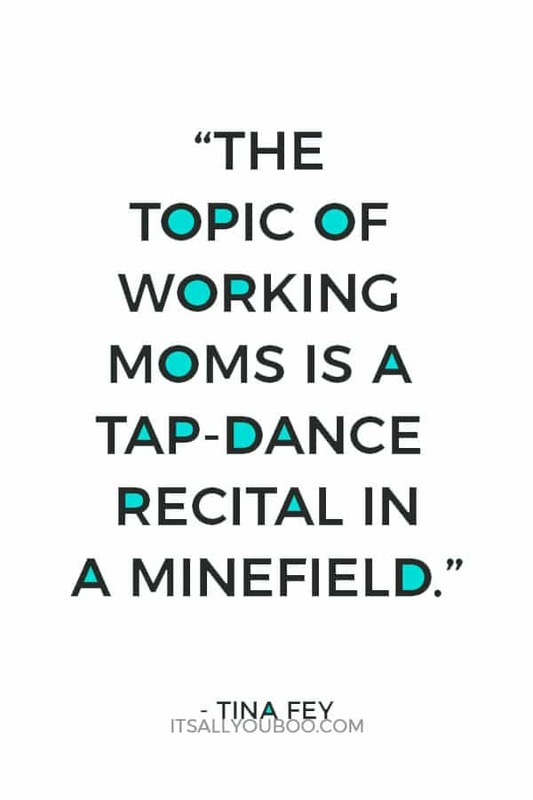 But I learned, it is impossible for a work-from-home mom to get those hours. So, now I do different tasks whenever I get a few minutes here and there. I don’t want to scare you, but when you have kids, you have lesser time in your hands. And the good news is, you can still manage it all. A lot of moms do, and you can do too. These are all great tips whether you are a work at home or work outside of the house. I work full-time at an university during the school year while working at home and when it’s summer time, I work full-time at home. I learned all of these the hard way, but my favorite is #11. I’m always taking notes on my next post or social media idea or whatnot. Very helpful guide. I always try and set exclusive time for kids but in the process end up loosing some me time. Will check out this Evernote app to list my ideas. You’ll find Evernote so helpful! It’s one of my favorite tools for keeping track of my thoughts. “Me-time” is as important as spending time for others. When you take care of yourself first, you can be your best version. It will reflect in your work and relationships too. I seriously don’t know how Mamas do it. I’m single with no kids and the struggle is still real! You and me both! Moms are superheroes of time management. I’m also kidless and sometimes wonder how I would do it all. But I suppose when there’s a will, there’s a way. Niki, the truth is, we can do a lot more than we give credit for. Even if you feel your hands are full, you will find a way for what you are truly passionate about. These tips are great!! Having a schedule was really a game changer for me also I get up super early so I have a little more uninterrupted time. So glad you found it helpful! 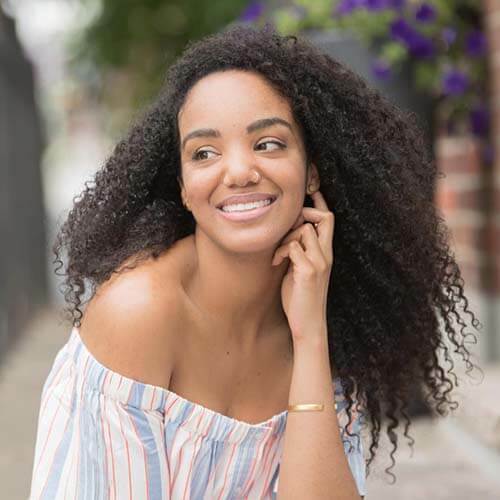 Waheeda did an excellent job of sharing her WAHM time management tips with us. Waking up early is such a great idea, thanks for sharing! Leah, I am with you on this one. I found getting up early is a game-changer. I am in a better mood when I can finish some tasks early in the morning, and can tend to kids’ needs with more patience. And I used to be a night owl who loved waking up late, lol. I totally needed this. I have been swamped with work lately and this is going to help me out a lot! I really love the tips you shared here. Hope these tips help you deal with the overwhelming work, I know they’ve helped me. Personally, I’m all about #9! This list is super helpful to me even though I don’t have children because I’m so awful with time management. Thank you! I am happy it is helping people who don’t have kids too.